You are going to LOVE this soup! I’ve made this a whole lot…it’s great to make for a crowd, for an easy weekday meal, for company with delicious homemade bread, and especially a cold winter’s night. You will not believe how easy this is. I realize there are some things from a can in here, but sometimes you need something quick and easy. I originally made this as a baked potato soup, topped with scallions, bacon bits, cheese and sour cream. However, the other week I didn’t want to mess with toppings for a larger group, so I just dumped a bunch of cheddar cheese in the soup at the end and served it that way. It was great! I’m sure you could add cut up ham, or some vegetables or anything that sounds good to you. This is a crock pot meal, but I think you could just cook it on the stove if you were short on time. I have already shared this with several friends and it has turned into one of their go-to soups. Hopefully the same will happen for all of you! 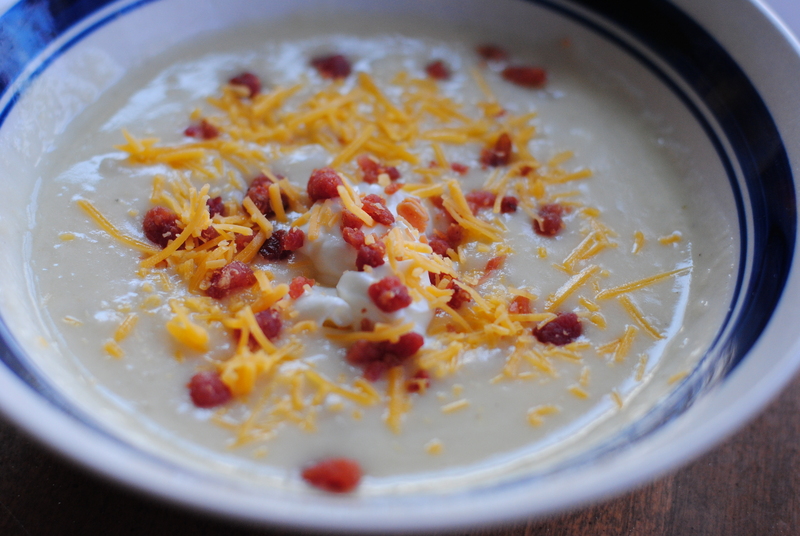 cheddar cheese or toppings for baked potato soup – bacon bits, scallions, sour cream etc. In the crock pot combine everything except the cream cheese. Cook on low for 6-8 hours. About 30-60 minutes before serving, add the cream cheese to the soup and keep heated until melted. 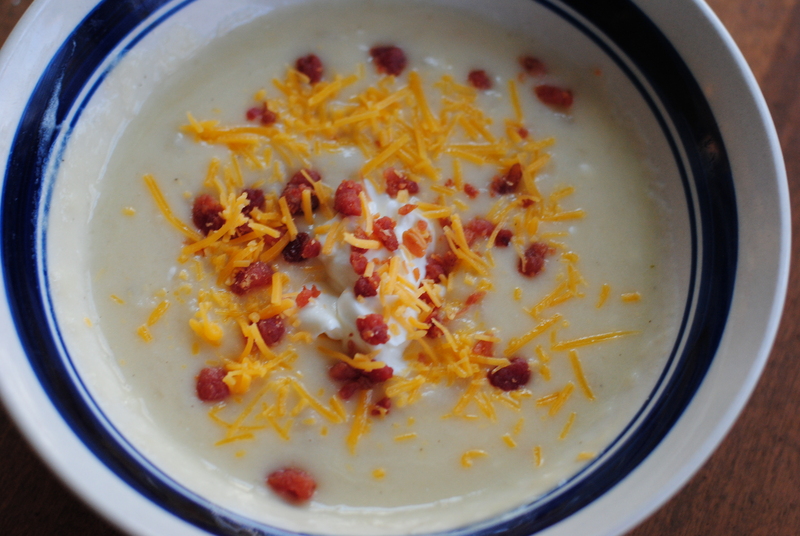 After the cream cheese has melted, a cup or two of chedder cheese can be added if not serving as baked potato soup, or omit cheese and serve with toppings. This could be made gluten-free if a gluten-free cream soup, or a homemade version, is used.